Readers of this month’s edition of The Grower, the technical journal for horticulture published by the AHDB might recognise a familiar image: the pointed microclimate sensor from 30MHz. In a contributed article, Ant Surrage, Technical Development Specialist at Fargro, goes in depth on the importance of quality data when crafting an integrated pest management (IPM) programme. Growers, consultants and researchers in the 30MHz community have been demonstrating the impact of data-driven IPM, and we’re excited to see our technology be a part of their fight against pest and disease. Ant’s article highlights the key reasons why real-time insights are central to protecting crops from threats. At the core is a reminder to agribusinesses to never underestimate the variations in their environment. 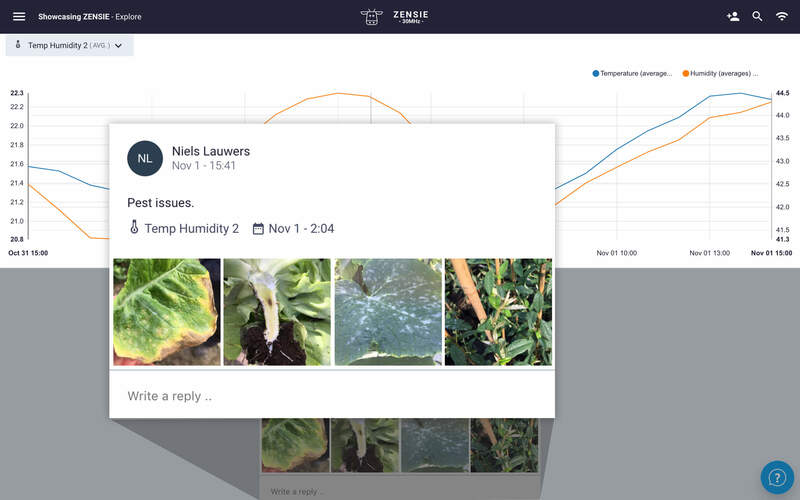 A combination of metrics on environment and crop-level insights (including dew point, vapour pressure deficit/VPD, absolute humidity/AH, humidity deficit and the absolute difference between air temperature and dewpoint) are all viewable within the ZENSIE platform, and provide the detailed overview needed to fight the range of insects, fungi and diseases that can compromise crop development. Real-time and historical data on environment and microclimate can help agribusinesses identify the conditions that lead to disease development, and optimise the conditions for biopesticide effectivity– a win-win that conserves crops as well as resources. Here’s what we believe: to serve the horticultural sector well, an agridata platform needs to make comparing locations easy– whether those locations are down the road, across the country, or across the globe. If you follow us on social media, you’re likely to have seen photos from a whole range of greenhouses and indoor farms working with 30MHz. From Scotland to Saudi Arabia, the American southwest to South America, Southeast Asia to Africa and Australia, we’re watching new agribusinesses come online daily. Many of them are brand new customers (we’re well in the 200’s now), some are additional locations of existing customers, and many come based on recommendations from within our community of growers. Mapping the relationships between all the points on the 30MHz map of the world would yield an intricate web. Some are the same business in multiple locations, others grow for the same organisation, and others are different parts of the same chain. But there’s one thing all these customers have in common: however they might work together, and however far apart they might be, they prioritise crop consistency. When we chat about goals and expectations for their crop data, we hear time and again that our customers need consistent, uniform crops across their grow rooms, greenhouses and vertical farm locations. That’s where a variety of key metrics– and the ability to collaborate in real-time– becomes a game changer. Every agribusiness has a slightly different recipe for success, based on the unique challenges it faces. But we’ve found that certain elements are crucial across the board: a solid approach to pest and disease management, a good understanding of microclimate, and an evidence-based irrigation strategy are just a few among them. But growers tell us it’s not just readings on CO2, temperature, humidity, light intensity, soil moisture, VPD, dewpoint, sap flow, stem diameter (we can go on…) that go into crafting a replicable and proactive approach to their crops. It’s the insights on their interaction and effect– past, present and future. To get the most applicable information from their data, 30MHz customers have the opportunity to leverage the experience and expertise of colleagues and peers whether they’re in the next grow room, across the country, or across the globe. We’ve seen growers at Pinata Farms in Australia use the ZENSIE platform’s collaboration features to streamline the exchange of information with UK-based berry growers. We’ve seen Haakman Farms share real-time insights on breeding conditions between the Netherlands and Russia. And we’re thrilled to be part of the Royal General Bulb Growers’ Association (KAVB)’s “measure and monitor” pilot, aimed at bringing more transparency and data exchange to the bulb storage sector. Interactive comments on graphs, and the ability to tailor what data is shared with custom permissions make it easy to collaborate and innovate to tackle industry-wide challenges. A collaborative platform can help turn local insights into global solutions across agricultural sectors. The Royal General Bulb Growers’ Association (KAVB) has just announced two data-oriented pilots, aimed at providing entrepreneurs with insights to improve business within the sector. The two pilots, “measure and monitor” and “track and trace” bring the benefits of digital agriculture to the association, which has about 1200 members, most of them bulb growers, bulb forcers and wholesale companies. The “measure and monitor” pilot focuses on the real-time tracking of temperature and humidity conditions in tulip storage on a shared KAVB dashboard– powered by 30MHz. Pilot participants can collaborate and share insights by viewing each others’ measurements and graphs, commenting on one another’s data and exchanging photos of their crops. Read more info (in Dutch) on the pilots on the Bloemen Planten niews site. Next week, our very own Steve Archer will join speakers from VDH Foliekassen, CMW Horticulture, NFU Energy and Priva to share insights and experiences with forward-looking soft fruit growers who want to extend their growing season and learn how to implement the latest technologies for climate and irrigation control, energy saving and increased production. Steve will cover the latest developments and future direction of the ZENSIE platform, and share the experiences of 30MHz customers who have used real-time crop-level monitoring to achieve results including the optimisation of irrigation, reduction of labour costs, improvement of IPM results, reduction of disease risk, concentration of frost protection strategy, and lowering of fungicide costs. The day will begin with registration from 09:00 and close at 16:00. Lunch and refreshments will be provided. Time permitting, interested delegates can stay on for a practical workshop with the technical experts. Places are limited and will be allocated on a first come first served basis, so please confirm your attendance as soon as possible, but no later than Friday 22nd March. Well, it’s the start of a new year and we’re already zoomin’ through product updates. First on the list: data zoom. You can never get too granular with data exploration, so to make things a bit more detailed and easy to explore, we’ve added a feature to let you dive further into a set of data points in charts. Simply click into your chart, click on the starting point you want to zoom into, hold down your mouse, and drag to your desired end point. Let go, and you’ll be forwarded to the zoomed view of your data. Any questions? Ask away, we’re here to help. These days, we meet many of our new customers via social media. We love that— it’s real, it’s conversational, and it’s to the point. When we ‘meet’ a new customer over social media, it means that something we’ve shared resonates, and we’ve clicked with a member of our extended community. That’s ZENSIE. ZENSIE is a powerful, but user-friendly platform that makes it easy to construct dynamic dashboards for all your team members, expressing data your way. Track historical trends and observe data in real-time with heatmaps, gauges, charts, graphs and readings superimposed on your own maps, diagrams and photos. Centered around interactivity and collaboration, ZENSIE makes it easy to learn and work together remotely. Teams can share data, annotate with images or tag each other in ongoing conversations, managing facilities across the world on desktop, tablet or mobile. Sure, quite a few of customers are greenhouse and indoor growers. But ZENSIE has applications across the chain, including cold store, arable and retail. Our greenhouse and indoor grower customers are diverse, focusing on crops from microgreens to leafy greens, cucumbers to tomatoes, peppers to aubergines and a whole range of ornamentals. Wireless sensors, that is. Our engineers source and assemble the best sensors in the industry. We ensure they’re rugged, wireless and calibrated to fit your context. To get started, 30MHz customers simply select the sensors they need, select a gateway (the heart of the wireless network, available in ethernet or 3G versions) and some repeaters to guarantee connectivity whatever the physical environment. Alongside wireless sensor data, 30MHz customers can view data on root zone, climate control, and traceability within the ZENSIE platform. They can express that data via the full range of widgets. Customers have called our two-way API “elegant” and “just what we hoped to see.” Have a look yourself. Plug and play’s the name of the game. Sensors arrive preconfigured, so all it takes is unboxing your hardware, plugging your gateway into ethernet and power, and waiting a few moments. It’s easy enough for the technology-phobic among us to set up, but we’re here to offer guidance and support if you need us. The 30MHz platform was built by cloud experts. At its core is an architecture designed to handle high volumes of data. A single gateway can support sensors into the thousands, so customers can feel free to start small (or go big straight away) and scale at whatever pace their project requires. It’s all up to the customer— new sensors won’t compromise the strength of the network. There are so many reasons “agtech” can be intimidating: overly complicated interfaces, time consuming deployments, and of course, cost. We try to eliminate all these potential barriers to deploying 30MHz tech. As mentioned above, we fully encourage customers to start small, get comfortable with a sensor deployment, see how painless the ZENSIE platform is, and scale accordingly. This past year, when a certain research firm spotlighted us as a technology to watch in the IoT Platforms for Agriculture space, our pricing model was specifically mentioned. This meant a great deal to us, as we strive to keep our pricing accessible to agribusinesses of all sizes. Besides a one time hardware investment, 30MHz customers pay a monthly data processing fee per sensor. This fee is capped at 4 EUR (5 USD) per sensor per month— the price for a sensor measuring in real-time. If real-time granularity is not needed, customers can adjust measurement frequency per sensor within the platform, and have the option to pause and restart sensors with a single click. Customers pay for exactly what they need, and nothing more. Some might say obsessed. And with good reason— we continue to see the results, not to mention the potential and possibilities. You can comment on widgets, track ongoing conversations in feeds, and create and brand groups for special projects, selecting exactly which sensors pertain to the groups. At the rate our product is developing, we’ll continue to need updates, recaps and new feature descriptions regularly. Any questions? Just ask us, we’re here to help! Ant Surrage is a technical development specialist at Fargro. We spoke with him recently about integrated pest management, the challenges facing greenhouse growers, and where technology — and most importantly, data — can help inform strategy and fight disease. What are the challenges growers face when developing an IPM strategy? Application uncertainty has been a big problem for the industry, though there has been significant information produced by research bodies such as the AHDB and Warwick crop centre on how to best apply biopesticides as part of the AMBER project. However, new technologies and their increasing adoption within the industry give possibilities for further information to be produced on how to best apply biopesticides based on environmental data. Firstly, having a higher resolution picture of the environmental conditions within a cropped area can allow for the detection of areas with “Goldilocks” conditions. Those being areas that are at a higher risk for pest and disease establishment. Growers can, therefore, be highly proactive with their monitoring of these areas, and as such, can spot treat with IPM compatible biopesticides at very early signs of pest and disease. To give an example, on a nursery I worked on we often had situations when grey mould (botrytis) would take hold in a corner of a glasshouse in a cyclamen crop and then migrate up through the crop. It is of no doubt to me now that the homogenous environment that we assumed was present was not. The corner must have been a “Goldilocks” zone for the disease to establish. Having a more granular environmental picture would have allowed for early identification of this, therefore meaning either the conditions could be changed, or area could be treated with a preventative spray. Secondly the effects of environmental conditions on the pest and in turn how this affects the efficacy of products. Dr Dave Skirvin of ADAS is developing a “boxcar train” model to describe pest populations increase. A key factor is environmental conditions and the effects these have on the developmental stages of a pest and intern biopesticide efficacy. Some biopesticides take 5-7 days to take effect, if the environmental conditions are such that reproduction in a developmental stage is less than 5-7 days then the pest will be able to reproduce before death. Having large amounts of data centralised on a single dashboard allows for a grower to easily keep track of the environmental changes that may influence pest population dynamics. How can understanding changes in the environment improve IPM efficacy? Many biopesticides are living organism and as such have certain conditions under which they work best. Take for example Naturalis L which is a product containing a fungus called Beauveria bassiana, the label states that the product is active from 10-37 ºC and above a relative humidity of 50%. Actually, we know that to see the best efficacy the product should be applied between 20 – 30 ºC and with a relative humidity over 60%, sporulation only occurs above 80% relative humidity. On a diurnal basis this is a relatively narrow window of time, however, having real-time alters notifying you as to when conditions are perfect at crop level allows for a grower to be confident that they are applying the product in the optimum conditions. I also think the improved ability to share ideas and collaborate with others is going to be revolutionary. Not only in how quickly and accurately we will be able to advise on crops, but also the ability for innovative solutions and management strategies to be shared in our community. This, of course, all forms part of an IPM programme. HortAmericas explains excellently how macro biological controls can be optimised through environmental conditions and we should remember that by altering our environmental conditions through ventilation, screening, irrigation can greatly prevent pest and disease establishment. However, we are seeing now that the separate components of IPM can be fine-tuned with new tech and data creating overall more effective programmes with a reduced need for conventional chemistry. If you want to know how to optimise other biopesticides contact the Fargro technical team. No one ever said that agriculture was a slow-paced industry. ZENSIE is growing and evolving to keep up with growers’ needs. New customers are joining the platform daily, and we’re releasing new features and updates on a weekly basis. Thanks to the consistent input from our community, the ZENSIE platform has become much more than just a home for sensory data and analytics. It’s become a living, breathing resource bringing together a variety of live and historical data sources, empowering users to share insights and interact around them in real-time, wherever they are. They’re augmenting data, exchanging knowledge and preserving wisdom, ensuring that learnings from every previous harvests help optimise the following, and that current conditions help nip threats to crop health in the bud. Communication around crops is key, and we’ve just made it easier. Comments, images in comments and communication feeds make it easy to stay on top of the conversation surrounding crop needs, tasks and the flagging of pests or disease (to name a few). With mentions, the conversation can be even more direct, directly alerting specific colleagues when you’ve got something to share. Simply type @ to tag a colleague, and a list of names will appear. Select the people you want to mention directly, and they’ll be alerted to your comment. That’s all there is to it. The 30MHz team is constantly discovering new applications of sensory data across horticulture and agriculture. Customers are using live and historical data— captured predominantly by wireless sensors— to make better decisions increasing productivity, reducing waste, refocusing and optimizing manpower, saving resources and improving yield quality. The 30MHz agri-data platform provides a quick and precise feedback loop, enabling growers to verify and tailor their approach to crops. This combination of real-time and historical context on crops and their needs is proving crucial to the optimization of integrated pest management strategies. In the case of one customer, continuous monitoring of soil temperature and soil moisture with GS3 sensors was central to the creation and optimization of a successful vine weevil strategy. Because different biological controls work at different temperatures, understanding environmental conditions enabled the customer to reduce costs when deploying. There was a significant cost difference between two products. With real-time data on soil temperature, the customer could deploy a cost saving strategy (which included using until soil temperature fell below 12 C.) With notifications based on custom triggers, customers can set alerts to understand when conditions change. Immediate insights help customers make decisions quickly in response to changes in the environment or crop needs. With alerts, the customer was able to quickly decide when application could switch to Nemasys L.
The interactive visualizations, comments and project groups within the ZENSIE platform can help ensure knowledge exchange across departments and locations within the organization. Groups make it possible to share alerts within an pest management team, for a more proactive and connected IPM strategy— allowing agribusinesses to prepare for, for example, colder weather. Animated heatmaps make observing changes in temperature more tangible, visualizing fluctuations on customer-uploaded images. Using data captured by the pointed microclimate sensor, another 30MHz customer was able to increase precision while fighting spider mites. After installing sensors in a problem area, the customer discovered that conditions were not optimum for phytoseiulus above 25C and blow 70% RH. 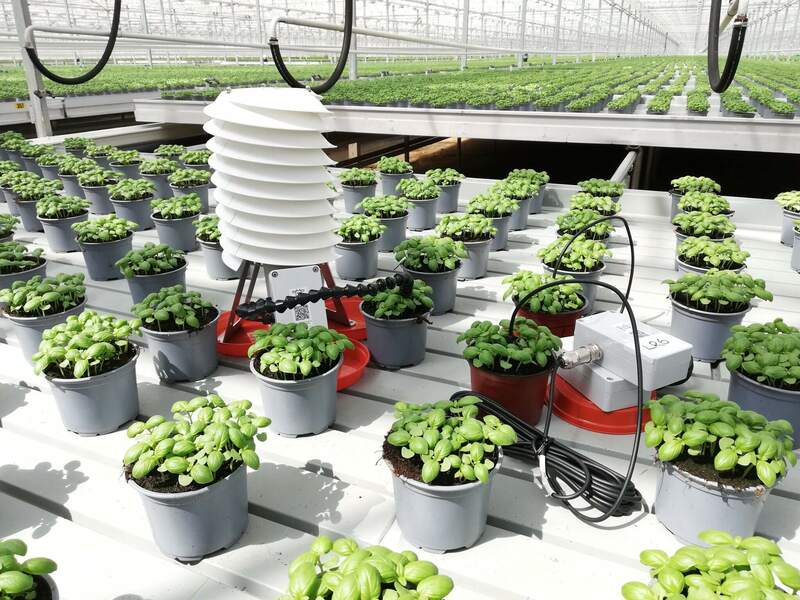 Armed with insights, the customer implemented a series of alerts to increase application when conditions were reducing phytoseiulus productivity. The collection of crop-level data is especially important when using biological controls. In another customer case, insights on microclimate helped optimize a strategy to fight thrip. Thrip had caused over 30% in losses. Through real-time monitoring, the customer had discovered that RH should never fall below 63% to reduce hatch rates. With ever-evolving new insights, the customer developed a new strategy, with a new predator, and had increased confidence in biopesticide application with data. Given the number of interrelated factors determining IPM performance, precise and accurate data captured in real time, even from hard to reach places, offers great potential for the optimization of pest management. Our customers tell us that there are three objectives in pest management: the identification of developing pest pressures, ensuring the correct timing and conditions for the use of biopesticides or predators, and the understanding of the context within which previous issues developed— to learn from and prevent future problems. Accurate, interactive real-time and historical sensory data can make a significant impact on all three. There’s so many ways to work with 30MHz technology. Some of our customers use the ZENSIE platform to work across teams and locations within their agri-business. Others use ZENSIE to share certain data with partners and peers across the chain. Some use the platform to power their consultancies— sharing knowledge remotely in groups. Flexible data visualisation, accessibility on any device, and a nimble architecture that can scale when needed (and however quickly) make it easy for our customers to use their agri-data platform their way. So why would we limit its look and feel? Branding is more than just aesthetics. When showcasing or sharing your data externally, it might be crucial for anyone viewing it to understand who that data pertains to. Those insights are, after all, your intellectual property, expertise and business advantage. When working with different teams, local logos or branding can be key to quickly differentiating between data in groups, making discussions and data navigation even easier. For consultants, customer-specific branding in groups and dashboards is not only organisationally efficient— it’s good customer service, keeping the customer— not the consultant— at the centre of the conversation. 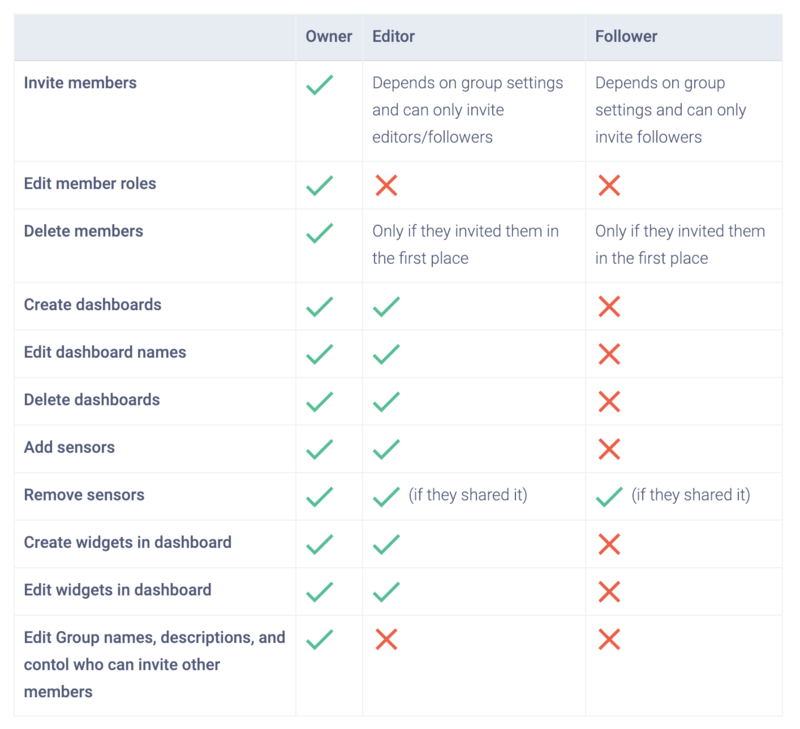 We’ve added custom themes to ZENSIE account settings to make your platforms and groups more… you. 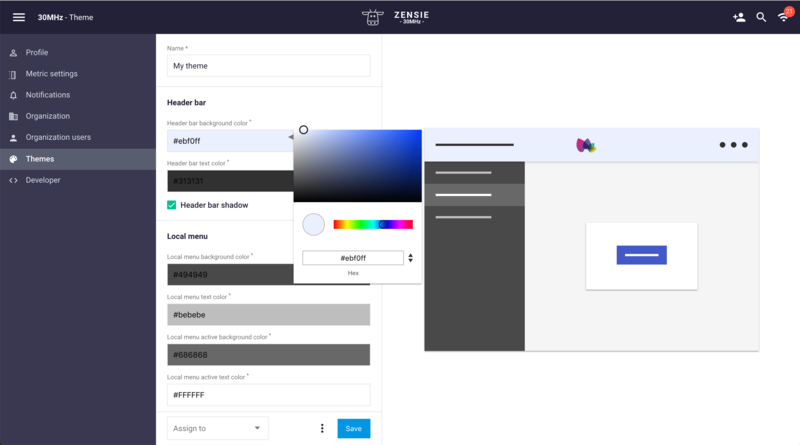 Change colour schemes and add your own logo(s) to the interface in just a few steps. Select custom colours for groups and dashboards, upload logos, and define as many preset themes as you like, with a handy preview as you tweak your settings. Don’t worry, you’ll always have the option to return to our standard colour and branding. Add as many preset themes as you like and watch your data come to life on your terms. Any questions? Get in touch below, we’re happy to help.